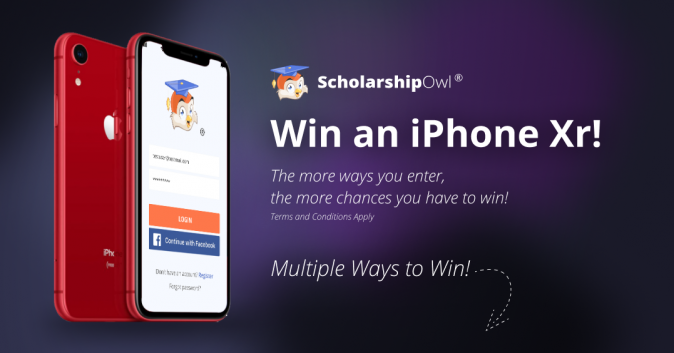 ScholarshipOwl is running another giveaway to gift one of their fans with a brand new Apple smartphone! To enter in this 2nd Apple iPhone XR Smartphone Giveawaygrab your free entries by following few simple steps listed down below! The iPhone XR is one of Apple’s new iPhones for late 2018 and into 2019. While the iPhone XS and iPhone XS Max are certainly the flagship products, the iPhone XR offers a similar user experience with some scaled-down specs. The iPhone XR uses the same processor as the iPhone XS and iPhone XS Max, as well as Face ID and the TrueDepth camera, but uses different display technology and a single rear camera. Its sides are also made out of aluminum, rather than stainless steel. Not known how winners are going to be contacted, probably by email and announced in the giveaway widget shortly after giveaway ends.